If you’ve ever wanted to experience and own a Harley Davidson and be a part of its iconic lifestyle, it is now more of a possibility thanks to the introduction of Harley-Davidson Originals, a pre-owned program that comes with a host of benefits. Harley-Davidson India continues to show commitment towards demonstrating quality and performance, with that in mind all Harley-Davidson Originals come with a 99-point quality check assurance via stringent examination, thus giving customers peace of mind when they take the keys to their motorcycles. Additionally, all Harley-Davidson Originals motorcycles will come with an official Harley-Davidson warranty for one year and are similar to the warranty that is issued on new motorcycles, with an option to extend it for a further two or three years should one require. Buying a Harley-Davidson Originals motorcycle will also open up the world of Harley Owner’s Group (HOG), which is the largest owner’s club sponsored by Harley-Davidosn with close to one million members across the world. Every owner will have the opportunity to sign up and become a HOG member and share their passion for freedom and adventure with the rest of the Harley-Davidson community. Fueling motorcycle enthusiasts and inspiring freedom, Harley-Davidson Originals is sure to open the road to many more riders across the country. 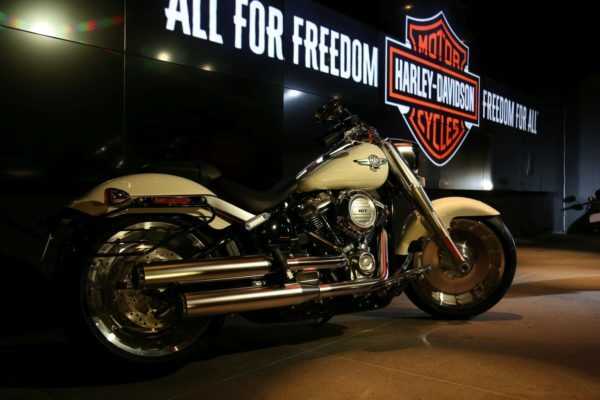 Harley is yet to announce when exactly this programme will make its way to India but we’re sure to keep you updated on that.